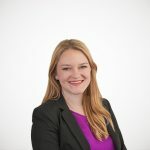 My name is Morgan Scarboro, and I’m a policy analyst at the Tax Foundation. For those unfamiliar with us, we are a non-partisan, non-profit research organization that has monitored fiscal policy at all levels of government since 1937. We have produced the Facts & Figures handbook since 1941, we calculate Tax Freedom Day each year, we produce the State Business Tax Climate Index, and we have a wealth of other data, rankings, and information at our website, www.TaxFoundation.org. I’m pleased to testify today on Senate Bill 8 and 83 which deal with Minnesota’s estate tax. While we take no position on legislation, I plan to share some of our research on estate taxes across the country and the economic evidence related to this tax. The federal estate tax exempts the first $5.49 million of an individual’s estate in 2017. Minnesota’s exemption is much lower at $1.8 million in 2017, meaning many Minnesotan families and businesses must pay the state estate tax, despite the fact that they are exempt from the federal estate tax. In 2012, approximately 90 percent of estates that paid the Minnesotan estate tax were not taxed under the federal estate tax. These 90 percent of estates generated 50 percent of the estate tax revenue in Minnesota in 2012. Few states still have an estate tax. Minnesota is one of only 14 states and the District of Columbia that has an estate tax. Rates vary from 9 to 16 percent in Minnesota. This is in addition to the federal estate tax of 40 percent. In total, Minnesota filers could face estate tax rates as high as 56 percent. Trends in state tax policy have pointed toward either eliminating or repealing estate and inheritance taxes. New Jersey will fully phase out their estate tax by 2018 and other states have been working to increase the size of their exemption. Minnesota has made some progress in this year, but the state is in the somewhat uncommon imposition of an estate tax, making Minnesota less competitive both regionally and nationally. Some businesses, especially those that have not spent a sufficient sum on estate tax planning and on large insurance policies, find themselves unable to pay their estate taxes, either federal or state. Usually they are small- to medium-sized family-owned businesses where the death of the owner occasions a surprisingly large tax liability. Family farms and small businesses are particularly hurt by estate taxes, as they tend to have limited liquid capital, limiting estate planning options. Those with larger estates have a larger incentive to spend resources on estate planning strategies. The estate tax harms Minnesota’s ranking in Tax Foundation’s State Business Tax Climate Index. Higher scores are awarded to states that do not impose an estate tax. The model cannot produce Minnesota specific results, but we are able to score what the repeal of the federal estate tax has on economic growth. Those results are instructive for Minnesota policymakers. According to the TAG model, repealing the federal estate tax would cost $240 billion over 10 years, but after accounting for the dynamic effects, that falls to $19 billion. Even more important, this change would increase long-run economic growth by 0.8 percent, a rapid increase. It would lead to an extra 159,000 full-time equivalent jobs. In total, after-tax incomes would grow by 1 percent as a result of this change. Now, the results for Minnesota could vary; it’s unlikely the Minnesota change would increase jobs at the same level as the federal change, but the directions of the changes would be the same. Repealing the state’s estate tax would make the state more competitive and increase economic growth. The estate tax hurts Minnesotans, with a disproportionate share of this burden falling on small businesses and family farms and can result in double taxation. Large estates with the resources to engage in estate planning are more likely to be able to mitigate the effects of the tax in comparison to smaller estates with less liquid capital. It is also worth noting that both President Trump and the House GOP Blueprint tax reform plans eliminate the estate tax. If tax reform passes and eliminates the federal estate tax, Minnesota’s estate tax administration costs will drastically rise. Testimony: Should D.C. Have the Highest State Cigarette Tax in the Country?